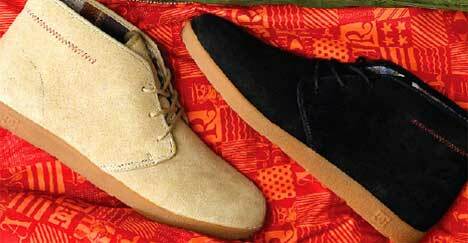 Aaron Rose designed these desert boots for DC. There´s a lot of buisness going down in the Snowboard industry right now. You can really say that the economical problems have hit the action sports. One of the latest and biggest news is that Quiksilver apparently sold DC Shoes to VF Corporation (owner of The North Face, Wrangler, Vans and many more. Exciting news? Not really and I guess it´s all big buisness. I´m just wondering what´s up next. I wonder what’s gonna happen with Mervin. Will Quik keep them or will they be sold off?? I guess Quik wil need Mervin as a factory. As I understand it they no longer own a snowboard factory of their own. But why would they keep a very expensive, relatively small factory in the US when outsourcing would be so much cheaper? Where is the source of this? I guess selling mervin doesnt generate the same cash as selling dc. Mervin must be worth only a fraction of DC. I think it would be quite difficult actually to find a buyer for Mervin.